Heartbreaker Vi and Heartpiercer Fiora will arrive in League of Legends Patch 9.3, which goes live this week. Exact release dates for the newest ​League of Legends skins remain unknown, but both skins are set to go live over the course of the patch. Considering their theme, both skins will likely become available to tie in with Valentine's Day. Each skin will cost 1,350 Riot Points and sport seven chromas​ also available for purchase. 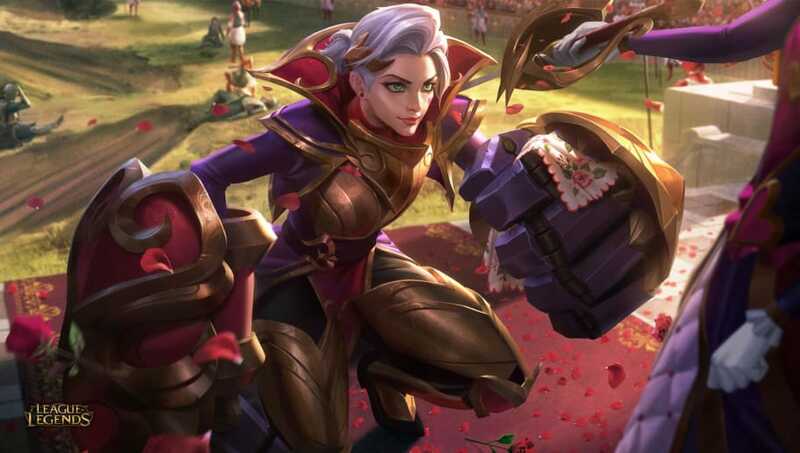 Heartbreaker Vi and Heartpiercer Fiora are the first skins either champion has received since 2017, PROJECT: Vi and Soaring Sword Fiora went live. League of Legends is currently celebrating the Lunar New Year with the previous cycle of skins. Those skins included Coin Emperor Tahm Kench, Firecracker Sejuani, Firecracker Vayne, and Prestige Firecracker Vayne. League of Legends Patch 9.3 ​also brought balance adjustments to several champions, marksmen item changes and bounty tweaks.